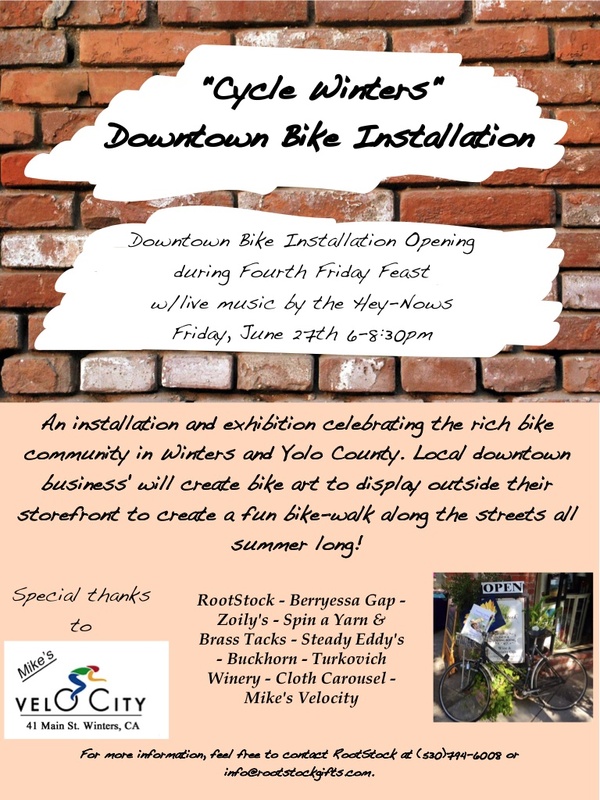 Downtown bike installation opening during Fourth Friday Feast, with live music by the “Hey-Nows”, Friday, June 27th, 6 until 8:30 pm. An installation and exhibition celebrating the rich bike community in Winters and Yolo County. Local downtown business’ will create bike art to display outside their storefront to create a fun bike-walk alon the streets all summer long.